People who cycle in Dublin and Limerick are being changed to sign up to the European Cycling Challenge for the month of May — fighting for the title of winning city with European counterparts, and between the west and east coasts. Forty-six cities across Europe, from Barcelona to Zagreb will be taking part in the competition It aims to foster new long-term habits of regular travel by bicycle, encourage current cyclists and build information which may be useful for planning cycling routes. Dublin and Limerick cycling commuters wanting to join in should download the Cycling365 App on your smartphone — available for Android phones, iPhones, and Windows phones. 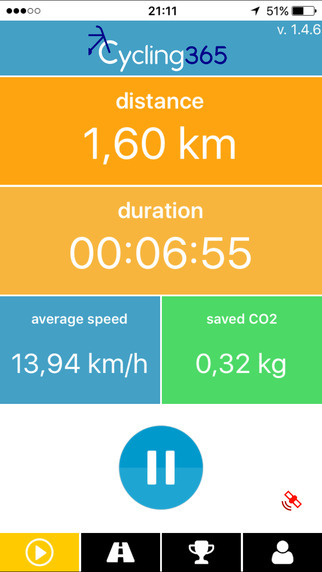 If you already use a GPS app, you can manually upload your data from it, or if you don’t have a smartphone you can manually input trips at cyclingchallenge.eu. 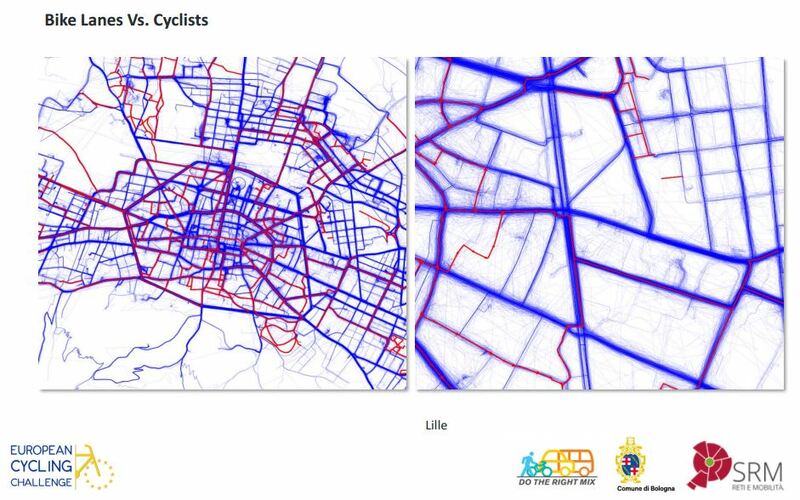 IMAGE: A sample heatmap comparing routes people cycle and cycle lanes. In common with popular apps like Strava, participants log their journeys using GPS on an app, however, the challenge is focused on and rewards everyday casual cycling rather than sports or racing cycling — and faster speeds are discouraged. The challenge only counts journeys of less than 35 km within the Limerick Metropolitan Area Boundary or within County Dublin and also excludes journeys with a top speed above 45 km/h or an average speed above 30 km/h — which may discount some fast commuters and electric bicycle users who are traveling for transport. The rules say: “All trips made by bicycle are accepted if the bicycle is used as a means of transportation. For instance, trips to and from workplace or school, to shopping, to visit friends, to go to the cinema or to the swimming pool.” But it states that data from cycling sport activities is “not allowed” to be counted. Within the city teams, sub-teams made of companies, schools or colleges will also be competing for the most kilometers logged. The title of “Best Cycling City” will be awarded to the city with the highest number of kilometers logged per 1,000 inhabitants. Sinead Flavin, a spokeswoman for National Transport Authority (NTA) announced the Dublin challenge at a Dublin Cycling Campaign meeting on Monday. She said that the challenge is all about encouraging a modal shift to the bike. “We all have to get from A to B every day, and many of us are struggling to squeeze in the recommended 30 minutes a day of activity. By harnessing the encouragement of co-workers and using a little gamification we hope to convert newcomers to using bicycles for transport”. In Limerick meanwhile, the Limerick Smarter Travel team says it said it will be offering “Weekly prizes for best individual and subteam performances”. The prizes in Dublin seem confined to companies already signed up to Smarter Travel Workplaces. In previous years, the NTA has run a similar challenge that was only open to large employers with at least 250 staff as part of the Smarter Travel Workplaces scheme but, this year, individuals can join one of the city teams, and sub-team from companies, schools and colleges can participate. If you’re interested in setting up a sub-team with your employer, college or school, contact CycleChallenge@NationalTransport.ie for Dublin or sharon.lynch@limerick.ie for Limerick. The NTA hopes to make a heat-map showing popular routes available based on the data but this is subject to sufficient numbers of participants signing up for the challenge. This sounds like a fun initiative, think I’ll set up a team at work! Why its only for Dublin and Limerick? @tymon It costs time, money and manpower to run and organise the scheme. I think (not positive about this) that each city has to pay to be included. As I say, that’s what I think lies behind that, but I might be mistaken.